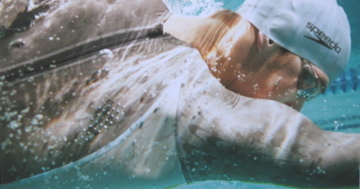 Speedo’s Fastskin is a revolutionary fabric technology inspired by sharkskin. It was first introduced to competitive swimwear during the 2008 Olympics in Sydney, Australia where swimmers wearing the Speedo swimsuits took the majority of medals at the games. At the PanAm Games you can expect to see competitors wearing the latest version, Fastskin LZR Racer Elite 2 which is super lightweight, with increased compression, drag resistance and water repellency all of which is designed to make the swimmer go faster and win more medals! 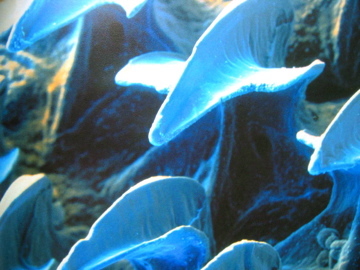 Sharkskin magnified using Scanning Electron Micrograph photography. To the human eye the skin of the shark looks smooth, but under this advanced imaging technology we can see that it is in fact made of tiny ridges. Once Speedo’s material scientists saw this they used advanced knitting techniques to mimic the sharkskin. 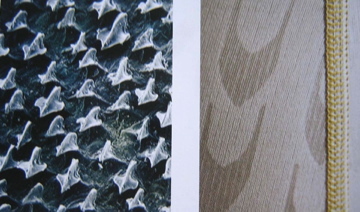 This design process is known as Biomimicry or Biomimetics. Speedo have spent more than 55,000 hours researching, testing and designing the fastskin racing system. a quick test to see if I can now post!